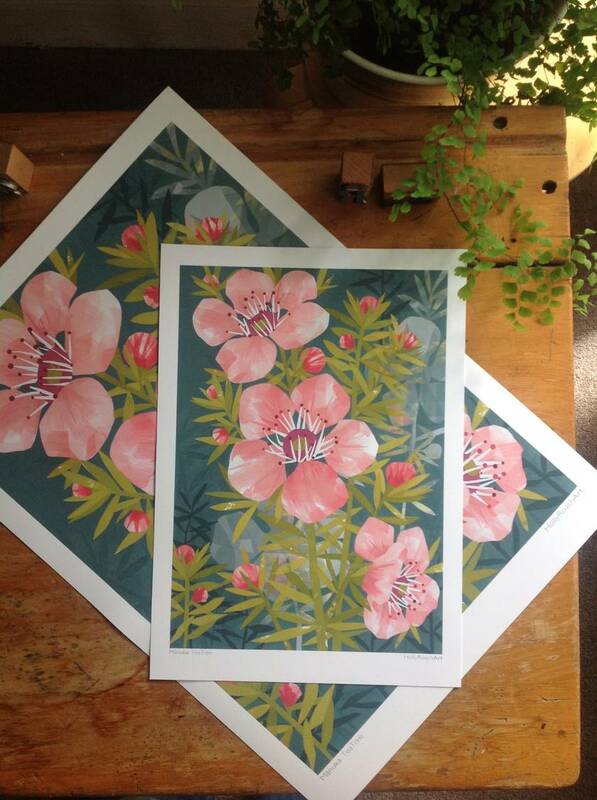 This is a print of an original illustration for a calendar or Native Botanicals. 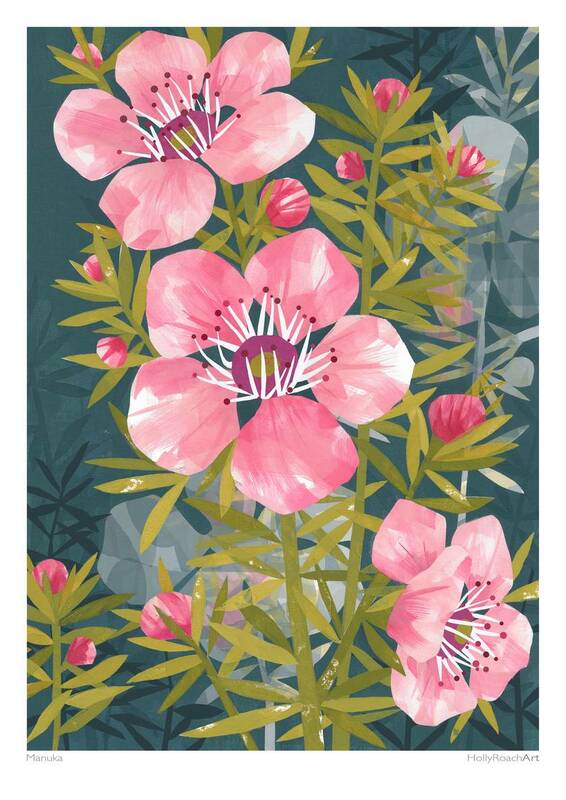 The beautiful healing blossom of the Manuka are loved by people and bees alike. 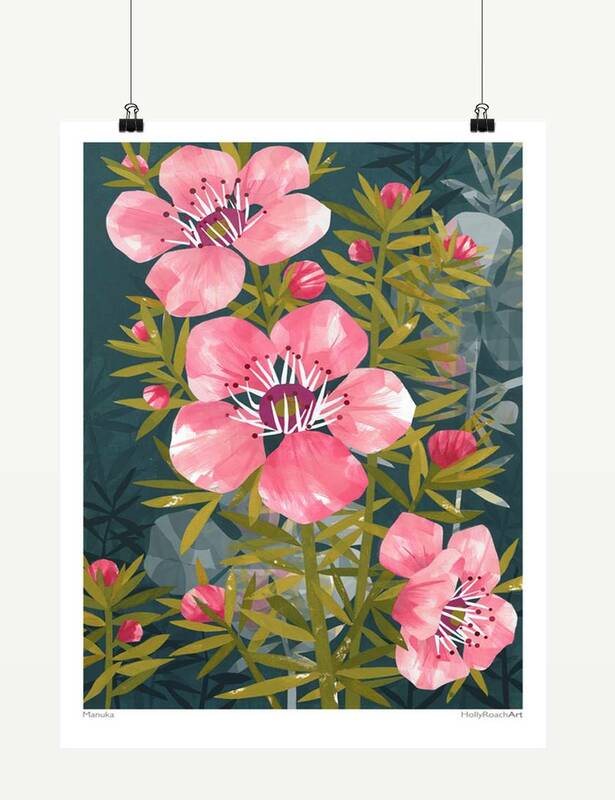 This is a open edition, high quality art print on crisp white 210 gsm smooth matte art paper, using UltraChrome archival inks. 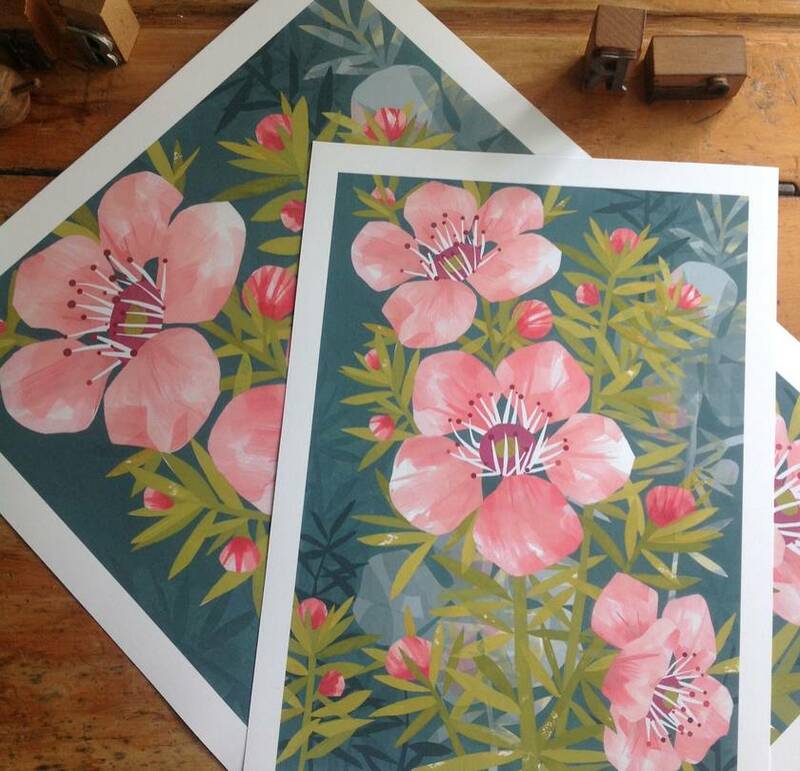 This is one of four original paintings using watercolours, screen printing with pen and ink. Looks great in any room needing a little greenery or indeed colour!